Bourbon whiskey has emerged as the internationally-known whiskey style of America. It is both a type of whiskey, whose characteristics are regulated by law, and largely (but not exclusively) a geographical one. Bourbon can be made anywhere in the U.S. but is traditionally associated with the State of Kentucky where most and the largest of the surviving producers are located. Straight rye whiskey is the second major type to have survived from the 19th century. Formerly associated mainly with Pennsylvania and Maryland, almost all production today is in Kentucky save the rye made by MGPI, a long-established distillery in Indiana formerly owned by the Canadian Seagram. But rye whiskey is a much smaller category than bourbon, almost insignificant next to it. There is also Tennessee Whiskey, whose main practitioners today are the famous Jack Daniel’s (Brown-Forman) and George Dickel (Diageo), both located within an hour or so’s drive from Nashville in north-central Tennessee. This whiskey-type is characterized by a lengthy charcoal-leaching process which lightens the new spirit before it is put in new charred barrels as for Kentucky bourbon and left to mature for 4-5 years. This style was originally known as Lincoln County whiskey because most of the distillers in that county used the maple leaching process to cleanse their whiskey just after distillation. Lincoln County whiskey is now considered the type of the entire state, indeed by law – to make a Tennessee Whiskey today in Tennessee, you must follow the charcoal leaching process. But at one time, Tennessee had at least one other major style of whiskey, called Robertson County whiskey (RC whiskey). The county of that name, highlighted in red on the map above, was named for James Robertson, who migrated from North Carolina and is one of the founding fathers of Tennessee. Robertson County was in existence by 1800 and early established a reputation for whiskey. RC whiskey was distinctive enough that in Internal Revenue reports of the late 1800s, it appears under that name in tables on production and other data. While always part of a miscellaneous category (especially for non-bourbon, non-rye) which could include Lincoln County whiskey, it shows that enough producers thought it distinctive to apply this further description and the government included it in its tables. As this 1886 history of Tennessee showed, while most of its counties made whiskey in the first 100 years of its history, the whiskeys of Robertson County and Lincoln County were pre-eminent, outside the state as well. This 1869 extract from debates in Congress deals with Internal Revenue’s approach to charcoal filtering of new whiskey. It shows that RC whiskey, like Lincoln County whiskey, was filtered through “coal” or “charcoal” – no further description is offered but the reference to the charcoal rectification tub can’t be clearer. Internal Revenue and its Congressional supporters were trying to eliminate filtration as they felt it encouraged excise tax avoidance. They wanted the whiskey taxed as soon as it poured clear from the still. If it was taxed at a later stage there was a risk not all the whiskey would be captured. The thinking was probably that with charcoal filtration some untaxed useable ethanol remained in the charcoal and also that taxing the liquor after filtration gave the opportunity to divert whiskey to escape a portion of the tax. The objection was not to rectification as such, which could be conducted by separate businesses so licensed, but to distillers performing it once the whiskey had condensed from the last distillation. In essence, the government was saying, registered distillers should distill and pay the full tax on what they produce. And rectifiers should rectify the product as a separate business. 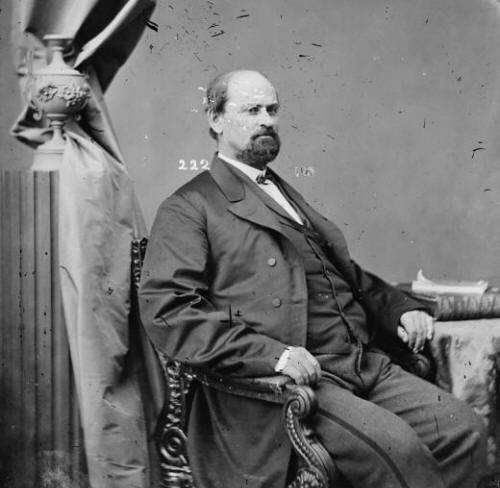 As you see from the page linked, Representative Golladay – he was Jacob S. Golladay of Allensville, KY, argued that Robertson County whiskey needed charcoal filtration to become what its makers called “finished whiskey”. (Lincoln County whiskey was in the same category but it seems it had no ardent defender as did Roberston County whiskey). The tenor of Representative Golladay’s remarks was this: RC whiskey needed charcoal filtration because it was sold to customers straight from the filter. If you deprived distillers of the right to put the whiskey through the charcoal vats you were putting them at a business disadvantage. * New white whiskey was, in Golladay’s colourful words, something a dog wouldn’t drink. Why would a Kentucky Congressional representative argue for a group of distillers in Tennessee? Because, as Golladay noted, one-third of Kentucky distillers used the same process. Golladay’s district was the Third Congressional District of Kentucky which included the town he resided in, Allensville, KY. Allensville is on the Tennessee-Kentucky boundary. In other words, it is clear that RC whiskey was a regional type and the one-third of Kentucky distillers who used the method in 1869 undoubtedly were in the southern part of the state, adjacent to Tennessee’s premier whiskey-distilling district. By speaking for RC whiskey-makers from whom he had received specific petitions, Golladay was speaking up for a tradition of Kentucky whiskey-making as well. Lincoln County whiskey, as I showed in my previous post, was originally also sold new, i.e., after the long bath in maple charcoal. And c.1870, a third of Kentucky distillers used a similar method, undoubtedly in the southern tier. This may suggest that bourbon whiskey emerged in distinction to these other types. In lieu of charcoal leaching and quick sale, a method not far out of the Appalachian hills as I showed earlier by reference to the early ethnological study, Our Southern Highlanders, distillers in the original Bourbon County, KY used long-aging in charred wood to impart the best quality to corn-based whiskey. As many students of bourbon know, Kentucky was carved from Virginia, and Bourbon County, KY once comprised a much larger area than today, most of northeastern Kentucky in fact. Today, over 30 counties, including a much-shrunken Bourbon County, comprise the area of the original Bourbon County. Bourbon whiskey probably has its name because the aging of whiskey in charred barrels developed in many parts of the original Bourbon County. The process was probably underway by c.1800, and became generalized in a good part of Kentucky by the eve of the Civil War. In contrast RC whiskey, Lincoln County whiskey, and the whiskeys of south-central Kentucky were the older type, not quite moonshine, but reliant on the quick-maturing method of the charcoal tub. While the tub was a technique at one time used in many places including Pennsylvania and Ontario in Canada, it seems not to have characterized the kind of whiskey that became bourbon. No modern bourbon producer uses pre-barreling charcoal leaching. In late-1800s descriptions of bourbon manufacture none that I could find calls for such charcoal leaching. Long-aging in new charred barrels was a method that distillers in the original Bourbon County, KY evolved. There are other theories as to the origin of bourbon’s name, but none are as persuasive as the idea that it was the whiskey characteristic of the original geographic area called Bourbon County, KY.
Golladay referred to the newer bourbon whiskey by his reference to whiskeys “in bond” for two years and more. The discussion in the house made it clear this was a high-class whiskey different in character from RC whiskey. This was the whiskey of James Crow, the Pepper Family, EH Taylor, Jr., Rev. Elijah Craig, Evan Williams, the Beams, and many other distillers of or near the original Bourbon County. RC whiskey, or this form of it at any rate, and similar Kentucky whiskeys, did not survive Prohibition. Lincoln County whiskey did survive after some peregrinations – but only after adopting Bourbon County-style aging. RC whiskey, seemingly a cleansed white lightening as Lincoln County whiskey originally was, is part of history now except for any revivalist (craft) distilleries who use the charcoal tub for its original purpose: a first rectification. I should add though that in 2014 George Dickel released its regular corn mash whisky in unaged form – unaged but having undergone maple leaching. Generally, any “whisky” in the U.S. must spend some time in wood, but corn whisky is excepted. Because George Dickel’s regular mash exceeds 80% in corn, its white spirit off the still and out of the charcoal tub can be called “corn whisky”. You can read Geoff Kleinman’s review at his drinkspirits.com site. It sounds like a cross between vodka and regular white dog. This may well resemble much RC whiskey and the original Lincoln County whiskey. Kleinman liked the drink but preferred the regular, aged George Dickel. This is a clue I think to why the bourbon-style became dominant and the others disappeared. Remember the Tennessee banker I mentioned earlier, T.J. Latham? In 1896 he lauded unaged Lincoln County whiskey over Kentucky bourbon. His was a tribute more of sentiment and history than palate, though. T.J.’s oratory, warm as southern honey, did not foretell the future in American whiskey. Bourbon had the upper hand and became not just Kentucky’s but also Tennessee’s style, finally (given the main producers, Jack Daniel and George Dickel, both age their whisky in the warehouse in new charred barrels after the charcoal-leaching stage). Note re images: The maps shown above were drawn from Wikipedia sources. The image of Jacob Shall Golladay was sourced from this website on the family’s history. All are believed available for educational or historical use. All feedback welcomed. *For more evidence that RC whiskey was subjected to charcoal rectification, see pg. 79 in this modern history of Robertson County, TN by Yolanda Reid and Rick Gregory. These authors suggest that RC whiskey (or at least much of it, inferentially) was twice distilled (so similar to Kentucky) and run through charcoal to rid it of its “headache” and “fighting mania”.